The sizzle reel doesn't go into too much detail, but from the E3 game page, it sounds like in addition to inhaling enemies and gaining their powers, Kirby can also befriend them and turn them into allies. Presumably it is these newly won over recruits that players two through four will be able to control. 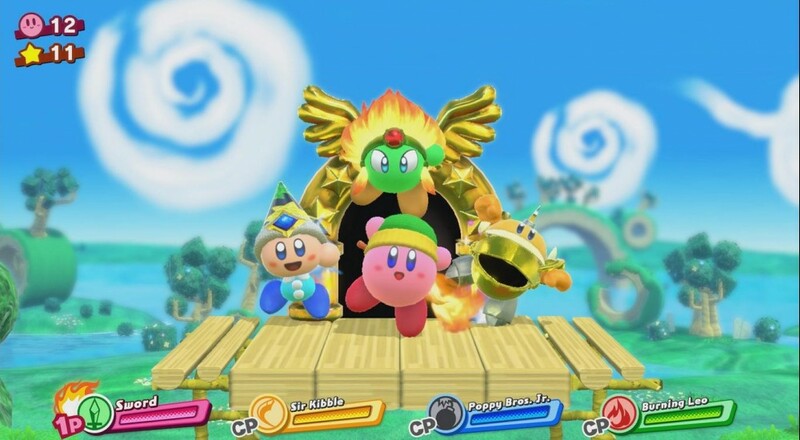 So only player one will get to utilize Kirby's copy abilities and the new tricks, like imbuing them with different elements. No release date (or formal title) for this new Kirby adventure, but it should be out sometime in 2018. Page created in 1.1751 seconds.